Phigora is curated luxury, We buy, sell, and trade luxury goods and provide the best experience in the second-hand luxury market. Sell the watch you're ready to part with, buy the handbag you've been eyeing, or trade up for a better luxury item. 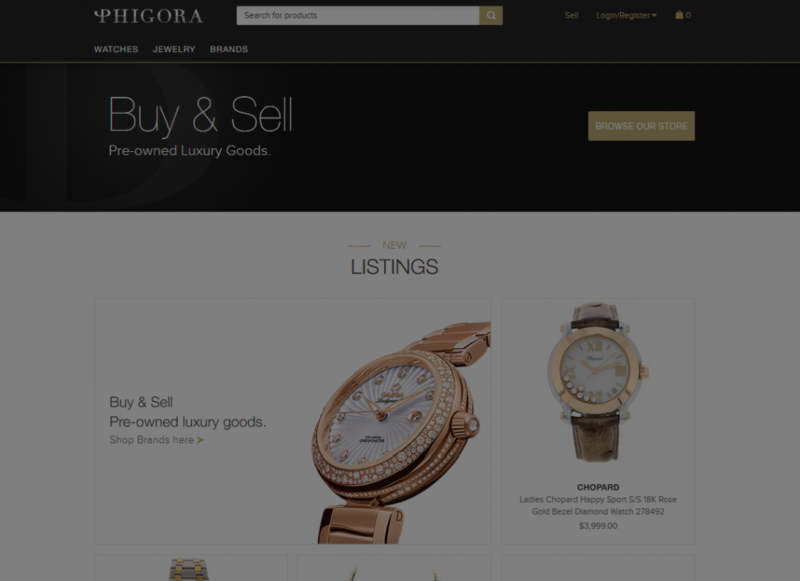 Become a Phigora member and earn money by selling your luxury items. Our concierge service takes care of everything: evaluation, authentication, pick up, restoration, photography, and customer service. Getting started is easy, send us images of your items. And while we work hard to sell your items, you can communicate with us easily via text, whatsapp, imessage, skype, or email. Browse our selection of luxury brands in fine watches and jewelry, handbags, and accessories. Become a Phigora member and get $100 off your first purchase, the ability to submit offers on all items and personalized deals on selected items. If you can't find what you're looking for in our extensive inventory of luxury goods, we have personal shoppers who will find your desired item for you at the best price.